In Asia, spot propylene prices have moved above spot ethylene prices for the first time in almost five years. The weekly average of spot propylene prices on FOB Korea basis gained premium of around $30/ton over ethylene. 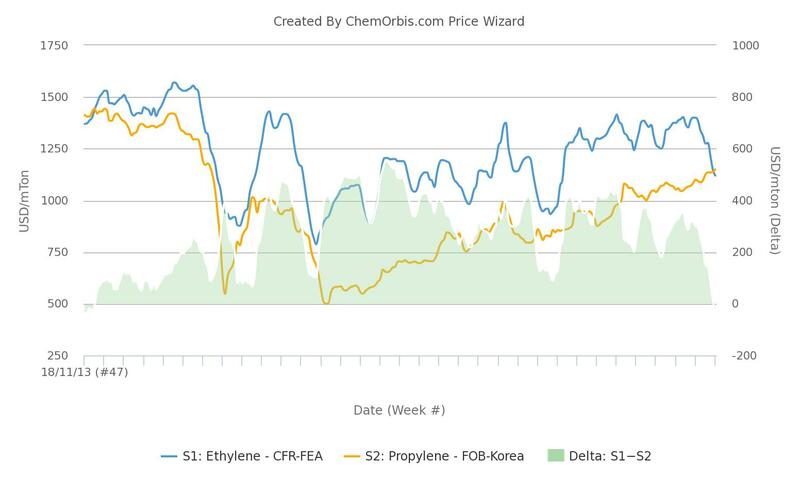 Spot ethylene prices on CFR Far East Asia basis last traded at a discount to propylene in November 2013, according to data from ChemOrbis Price Wizard. The ongoing shortage of domestic supply was cited among the factors driving the propylene prices up while a growing supply glut pulled the spot ethylene prices further down in Asia. The premium of Asian spot ethylene prices began to tail off in August as spot prices started to weaken to hit a 15-month low amid ample inventories and muted trading activities. On the other hand, spot propylene prices on FOB Korea basis moved up to their highest levels since October 2014, with support from the limited regional availability. 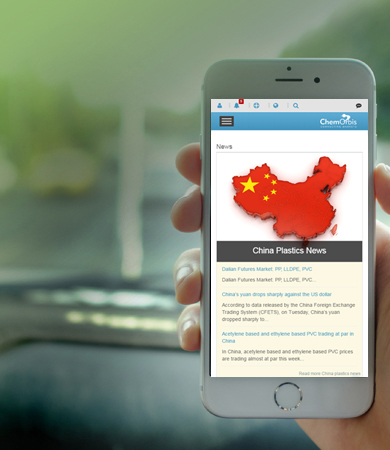 In plant news, South Korea’s YNCC and the Chinese SECCO began maintenance works at their propylene units earlier this month. Both units are expected to remain offline until next month.